A resume is your key to land yourself an interview. Also, be careful to correctly spell the names of software and technologies you mention. If an employer is using keyword-scanning software, spelling “PowerPoint” (which is spelled as one word) as “Power Point” (two words) could automatically land your resume in the “No” pile. Walser even recommends using the exact spelling and word spacing used in the job post. “If the posting states, ‘Experience with MY SQL (instead of “MySQL”] is desired,’ it would likely help the job seeker with his or her keyword ranking to include misspelling on the resume sent to that company,” she says. You may think this makes you sound open to learning, but Walser says otherwise. 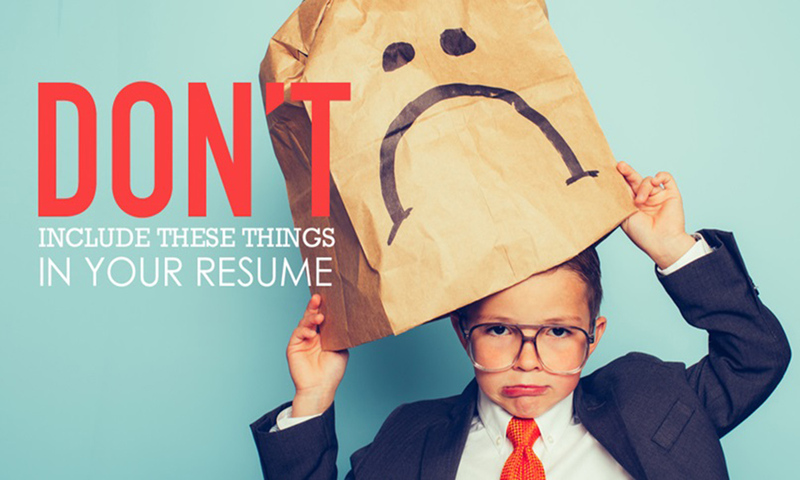 “While phrases like this will boost your resume’s keyword count,” says Walser, “they may be interpreted as a ‘bait and switch’ tactic” – and land your resume in the trash. “Hiring managers want to know what candidates can do for them now, not what they will learn how to do later,” she says. “Phrases like ‘Constantly seek to improve processes,’ without supporting context, are unhelpful to the reader,” says Walser. Avoid vague, general statements, and make your resume stand out with numbers and specifics that accurately describe your accomplishments to employers. “Providing context and scope with a statement like ‘Streamlined clients on-boarding process by 26 percent, saving 3 hours per client,” is much more informative,” she says. “It’s hard to get away from some resume clichés – like ‘strong communication skills’,” says Walser. Try using phrases that are similar but more exact instead. In this case, for instance, you might describe your experience with “public speaking” or “executive-level presentations” – and the trite phrases can be omitted entirely. “Placing dates next to degrees may make the candidate appear too old or too young,” warns Walser. The interviewers will figure out how old the candidate is eventually, but it’s much better to have that occur during the interview. During an interview, a prospective employer can gauge your enthusiasm, energy level, and maturity – instead of making assumptions based on a guessed-at age. If you have a hard time making your own resume, seek TeamResumePros’ expert writing service. Visit our web site or contact 1 (844) 845-0586 for more details.